Custom-tailored user zones can be programmed into the KNG Base Station by radio users and can also be field changed or reprogrammed whenever necessary. Program the KNG Base Station out in the field in minutes using an easy to use customize-able menu system, or simply plug in your laptop via USB port on the front of the unit. 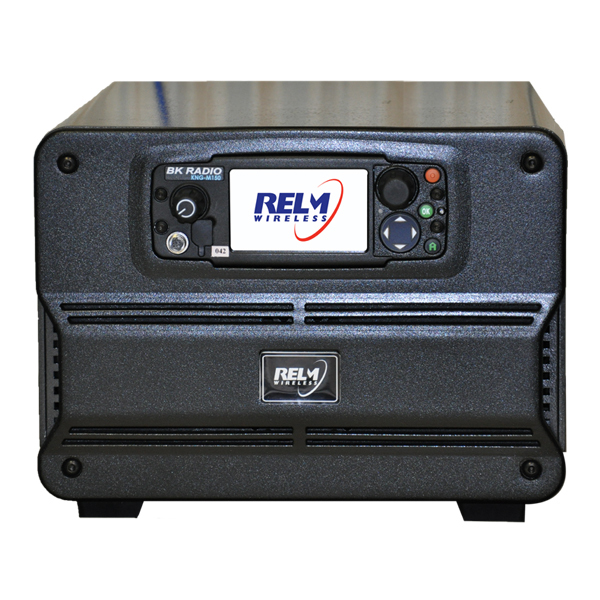 Whether analog or digital, communicate effortlessly to either mode with RELM’s Mixed-mode feature. The KNG Base Station has gone through rigorous testing and meets or exceeds military requirements. The first of its kind, the KNG Base Station’s innovative color TFT touch screen display solves many issues seen in existing base station radio control heads. Day or night, get all the information you need right at your fingertips. Only the KNG Base Station offers 50 Watt and 110 (VHF) Watt power in a same size package – small and compact to fit neatly in your dashboard. Only RELM Wireless goes the extra mile to create a truly birdie free radio, which means there are no blacked out frequencies on this base station. The KNG Base Station high power option is designed for the same package size as the 50 Watt – no external fixture – and can be software enabled in the field for when you need it most. 110 Watts of RF output will further the range of the base station and increase its capability. The high power option is only available for the VHF KNG-B150 model. The KNG 9600 Baud Trunking option gives you the ability to communicate without hassle and without complication. Compatible with competitor Trunking systems, RELM Wireless Trunking is P25 compliant and loaded with features, such as encryption and many unit-to-unit specializations. Best of all you get RELM’s ease of use. Using our intuitive software, modifying your KNG Trunking features will be simple. With RELM’s Wireless Tactical OTAR (WTO), you are provided with the flexibility to upgrade encryption keys wirelessly and effortlessly without ancillary equipment, infrastructure or key management facilities. WTO operates radio-to-radio and is completely contained in the KNG radio units, which means no additional equipment is required beyond initialization. AES and DES (Digital Encryption Standard) allows you to communicate with other radios that have the specific key programmed. RELM’s AES/DES Encryption is NIST certified, validated FIPS 140-2 Type III encryption with a 256 key load.